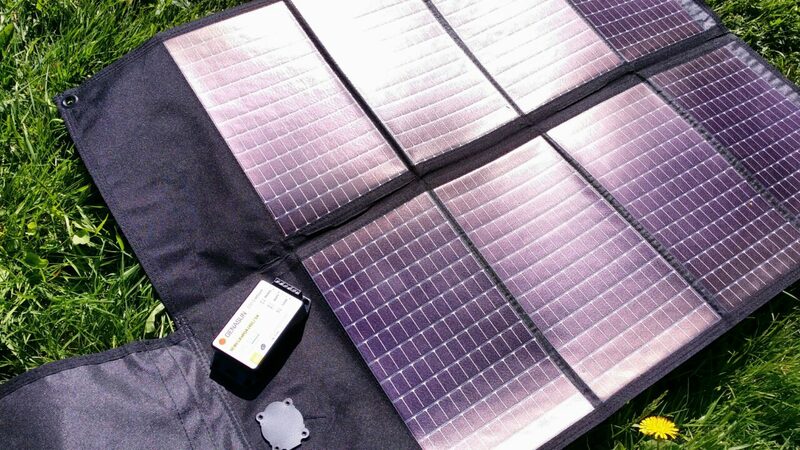 Continuing on with the off grid power for amateur radio series, we turn our attention to solar charge controllers. In the first article of this series I introduced you to the PowerFilm F15-1200, thin-film flexible solar panel. It won’t be too long until you see a video on that solar panel up on the channel. This time I’m sharing with you the solar charge controller for lithium iron phosphate batteries. It’s called the Genasun GV-5 (part# GV-5’Li-14.2V). Genasun GV-5 to provide the right voltage and charging algorithm for my battery pack, and regulated DC power to my powerpole distribution box to power my comms gear. Turn that energy into a charge voltage suitable for the 4SxP LiFePO4 pack. Regulate the voltage coming from the 4SxP pack to a 13.x volt DC output for radio and electronics. The solar charge controller is the systems integrator for all the individual components. It is the component which makes simultaneously charging and discharging of our 4SxP pack possible. One reason for choosing this charge controller is it’s designed to be completely RF quiet. That means zero interference from the solar panel and charge controller into our HF radios. The Morningstar 10L and 6L (after mod) I’ve been using are better than others in regards to noise. Unfortunately Goal Zero packs, Bioenno & Votronic charge controllers, all produce an unimaginable amount of noise in our HF radios. That is unacceptable for weak signal work. If we are to believe the Genasun marketing material in part or in its entirety, one could conclude the MPPT controllers are more efficient than PWM charge controllers. We shall definitely check this one the channel, and call them out if this statement is anything less than true. A Genasun MPPT solar charge controller extracts more average power from any given panel than a PWM controller. And though PWMs may offer a lower initial controller cost, MPPT Controllers deliver more power, actually lowering the cost per watt and adding reliability. How does that work? Imagine increasing the size of a panel 10%-50% to make up for the power wasted by a PWM controller, then multiply the power gained by Genasun’s MPPT controllers by the cost per watt of the solar panel and you’ve saved some serious pennies for a rainy day.